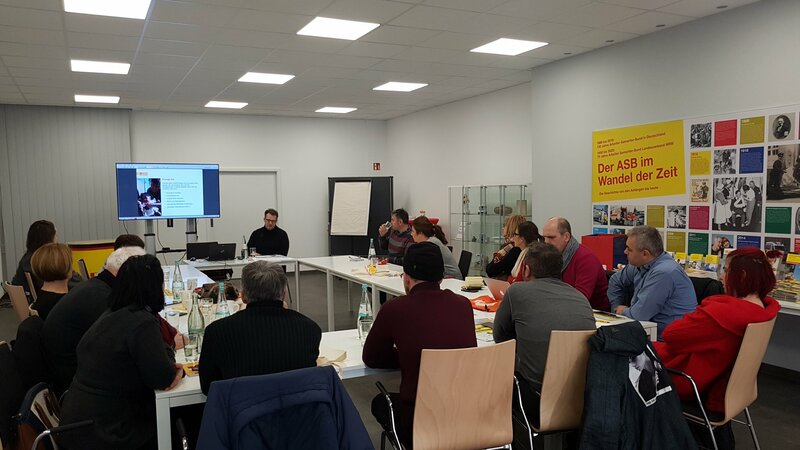 Arbeiter Samaritier Bund in partnership with PREDA Plus, organized study visit to Germany in the scope of the project “Active CSOs” implemented in Macedonia. 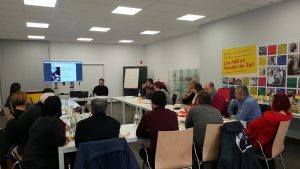 In the period from 28th of January until 1st of February 2019, fourteen representatives of civil society organizations, grantees in the small grant program “Activate”, had a chance to visit the following organizations and institutions: Aktion Mensch, organization from Bonn, Helping Hands, Junge Stadt, Save me Bonn – a refugee initiative, Arbeiter-Samariter-Bund North Rhine-Westphalia, Workshop by Fairtrade Germany from Cologne and Landtag North Rhine-Westphalia, state parliament in Düsseldorf. 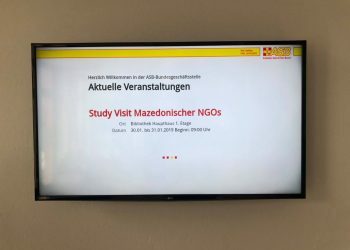 During the visit, the participants had the opportunity to get acquainted with work of the EU based organizations with regard to their target sector.